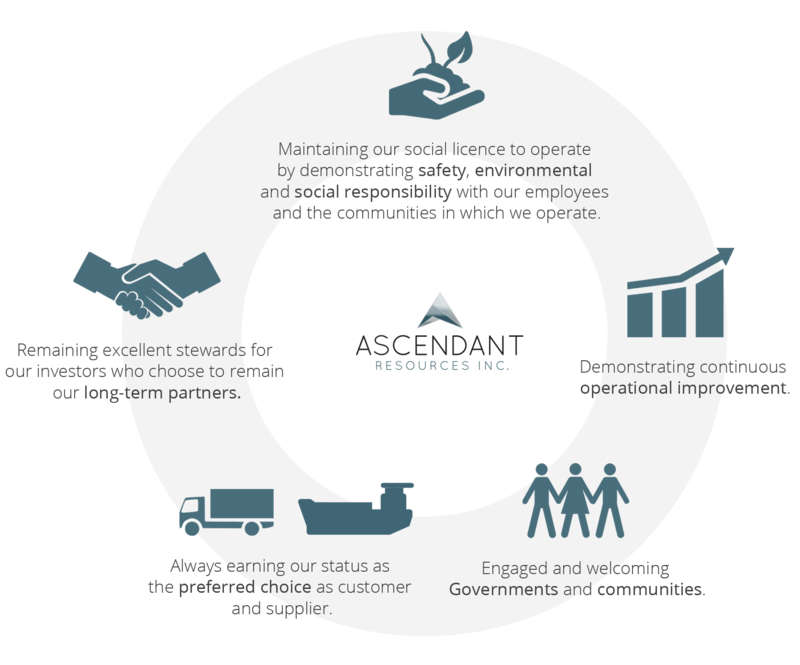 After acquiring the El Mochito mine in December 2016, Ascendant spent 2017 implementing a rigorous and successful optimization program restoring the historic potential of El Mochito, a mine in production since 1948, to deliver record levels of production with profitability restored. The Company now remains focused on cost reduction and further operational improvements to drive robust profitability in 2018 and beyond. With a significant land package of approximately 11,000 hectares in Honduras and an abundance of historical data, there are several near-mine and regional targets providing longer-term exploration upside which could lead to further Mineral Resource growth. To become an opportunistic international mining company that finds and produces commodities vital to global economic growth more effectively than anyone else. We intend to create superior value for our shareholders, customers and employees through the efficient management of our assets using continuous optimization and innovation while growing the overall asset base. Our primary objective is to exceed the financial performance of the best of our competitors as measured by Total Shareholder Return. In pursuit of this, we balance long-term growth with short-term results. We target the acquisition of mining assets from which we can extract value, that are priced and financed in a manner that is accretive to shareholders on a risk-adjusted basis.